WHAT: The 33rd annual Children’s Day, sponsored by Farmer Boys, will offer hands-on learning and fun while educating children about healthy and safe living choices. 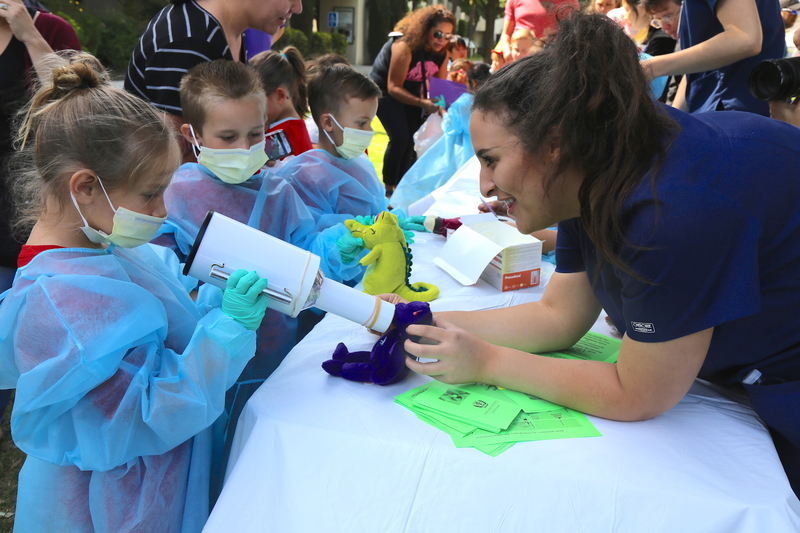 Recommended for kids ages 3 to 8, the free event will provide children with non-threatening exposure to a healthcare setting with activities such as a teddy bear clinic, pretend finger casting, and a dental health clinic. Other interactive activities include fire safety, medication safety, Dr. Hayes’s venomous animals, and many other booths and activities for kids. WHEN: Wednesday, May 9, 8:30 a.m. to 2 p.m. Parking will be available in the P3 parking structure on Campus Street. Media can RSVP to Janelle Ringer.